New book by Joseph Mokuohai Poepoe, 1891. The new book by J. M. Poepoe called Ki Gula, is 40 pages long; all that is left is for them to swiftly disappear [pahee aku koe i ka welowelo]. 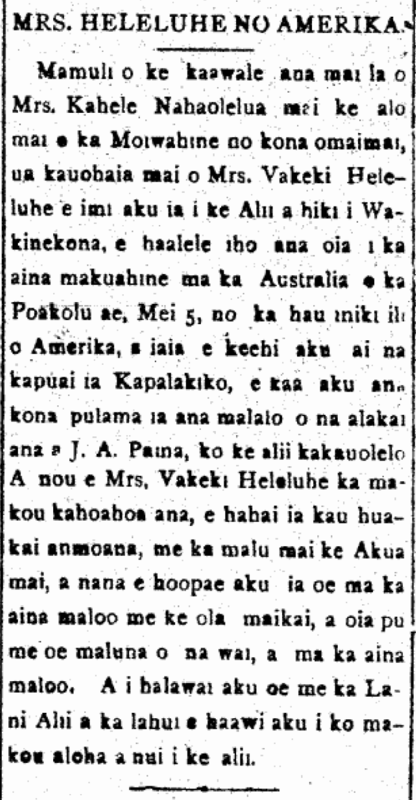 Ka Leo o ka Lahui, Buke II, Helu 168, Aoao 2. Aperila 9, 1891.